Ships from Canada. Most customers receive within 2-8 days. Warning: *The included CD is a mini size disket, and it is recommended not to insert the mini size CD into the slot-loading CD ROM drive to avoid damaging the slot-loading CD ROM drive. This item is covered by Mike's Computer Shop Return Policy. Pros: This adapter has given me more pain than anything else.I can't believe I didn't bother to upgrade to a better one yet. But today I did. Driver unavailable is not a good message. Other Thoughts: Forget about installing proper drivers. It just hates good drivers.! Thank you for choosing IOGEAR and we apologize for the inconvenience. The GBU521 is a very high selling low failure devise. The Drivers have been tested and work without issue with Win 7, 8.1 and 10 however Win 10 works plug and play as well with the GBU521. The Driver is available on IOGEAR.com https://www.iogear.com/support/dm/driver/GBU521 and comes on a Mini CD with the GBU521. To better service you and understand your set up, please feel to contact our customer support at 1-866-946-4327 or email us: support@iogear.com. Once again, thank you for choosing IOGEAR. Pros: I wouldn't know, it never worked. Cons: I plugged it into my computer, installed the drivers, and turned it on. It never saw any devices it could connect to. Tech support was stumped. It really just never worked. Thank you for choosing IOGEAR . 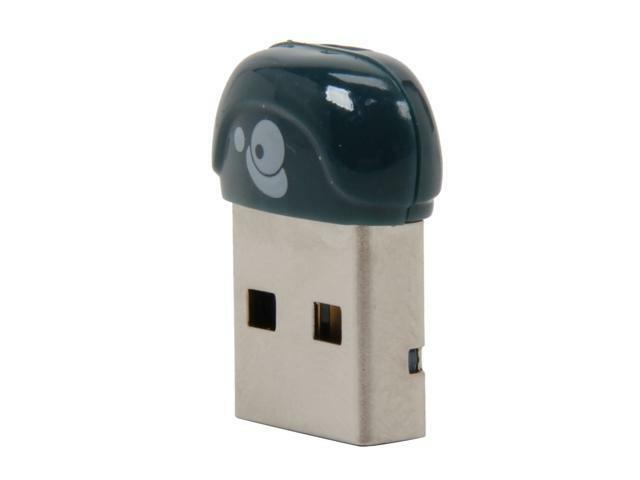 We sell 1000's of these and it works with Win 7,8.1 and 10 with no issues as long as you do not have any internal Bluetooth or any of other Bluetooth installations from previous devices. Keep in mind some Windows updates sent out by Microsoft has also caused Bluetooth issues with upgrades sent. This devices has a reliable chip set and is very high selling. Please send an email to support@iogear.com with details about your full setup, Computer make and model, Specifications, Item you are trying to connect and O.S. We would like to know more about why you state Technical support was stumped. Please mention this review. Again, thank you for choosing IOGEAR. First, thank you for choosing IOGEAR and we apologize for your experience. The product should not behave as you described. Since the unit is backed by IOGEAR's 3 year warranty feel free to contact our customer support at 1-866-946-4327 or email us: support@iogear.com. Again, thank you for choosing IOGEAR. Cons: Ridiculously short range. Not recommended. First, thank you for choosing IOGEAR and we apologize for your experience. The GBU521 is a class 2 device wit a range of up to 33 feet. This can be affected by your environment. This is a very high selling product with no indication of range problems. The product should not behave as you described. Since the unit is backed by IOGEAR's 3 year warranty feel free to contact our customer support at 1-866-946-4327 or email us: support@iogear.com. Again, thank you for choosing IOGEAR. Cons: -bluescreens win10 whenever I try to use it. Thank you for choosing IOGEAR and we apologize for the inconvenience. To better service you and understand your set up, please feel to contact our customer support at 1-866-946-4327 or email us: support@iogear.com. The GBU521 is plug and play with Windows 10 as long as you do not have internal Bluetooth or software from a previous Bluetooth install. Once again, thank you for choosing IOGEAR. Other Thoughts: Bought this to use a Xbox One S controller with PC. Installed drivers, and worked in minutes, controller was set up and good to go. However, when I paired my cell phone it blue screened my PC, tried it again and same results. I uninstalled drivers and the phone no longer crashes PC, but I'm only able to send files to phone, not vice-versa. If that was the only issues it would be 5 eggs, sadly it's not. What people say about the fit is true, I had to take a pliers to the thing to remove it from the USB port, for me it's no big deal cause I game on my PC and don't require it to be unplugged every time, for notebook users this will be a problem. Overall I would not recommend this unit, small and easy to use is great, but pointless when you can't use it. The laughable range alone makes this a terrible purchase, and shame on the manufacturer for claiming false range specs when it drops at arms length. Pros: Small and out of the way USB plug in. Use their install disk or I downloaded and used some newer drivers--this is in Win 10 64 bit. If plugged in correctly it had no problem finding and pairing to the speakers--no need to make any changes in Win 10. Cons: As others have mentioned it's ridiculously HARD to plug in a USB socket,I've never plugged anything into a USB port that's this hard. The dongle end will glow blue when it's fully seated,won't work if you don't see that color. Pretty short range. I can get a range of about 8 ft max on audio. Other Thoughts: Eh..it'll do for now but I wouldn't buy this one again. Thank you for choosing IOGEAR and we apologize for the inconvenience. The GBU521 is a 4.0 Bluetooth with a range up to 30 feet. The problem described could be related to the device you are connecting. We will have your comments about the size forwarded to the product engineers. To better service you and understand your set up, please feel to contact our customer support at 1-866-946-4327 or email us: support@iogear.com. Once again, thank you for choosing IOGEAR.